Researchers in Silicon Valley have developed insect-size robots that can manufacture microstructures that are too small and complex to be built by current machinery or by hand. The robots are part of work by SRI International into next-generation manufacturing technology funded by the Defense Advanced Projects Agency (DARPA), the U.S. military’s research and development arm. They range in size depending on their complexity, but the smallest is just 2 millimeters square and can zip around a board so fast that it’s almost difficult to see. 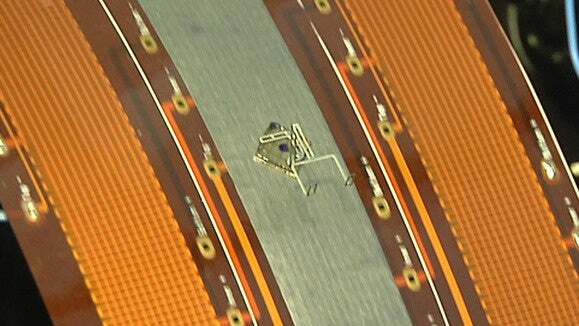 The robots are built on top of tiny magnets and are propelled electromagnetically. 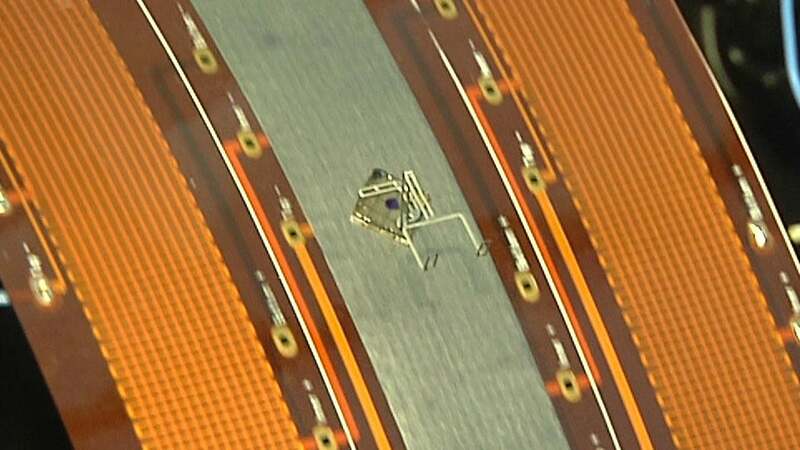 In a demonstration last week in Palo Alto, California, one of the tiny bots moved over a distance about 100 times its length in one second. 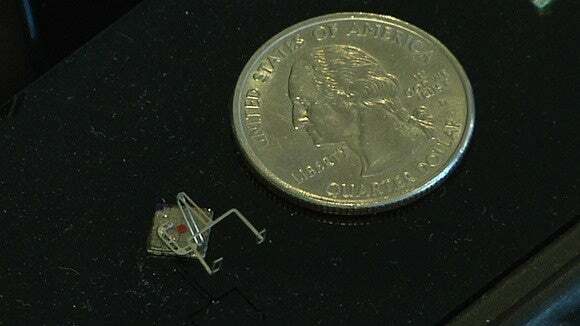 A tiny robot developed by SRI International can move around circuit boards held on by electromagnetism. One of the team’s other robots, about a centimeter square, had a tiny set of arms that can be used to pick up small components or drops of liquid. It demonstrated one of the other features: They can work on surfaces at all angles up to vertical because the magnets hold them to the base. The SRI team has already used one of the robots to construct a microstructure and sees that as a key use for the technology, said Allen Hsu, a postdoctoral fellow at SRI International and one of the researchers working on the project. As electronics and medicine continue their move toward smaller and smaller devices, it’s becoming increasingly difficult for current fabrication technology to keep up. The new robots are one option for taking over where current technology begins to struggle. DARPA’s open manufacturing project is funding projects that target production of advanced technology at low cost and with predictable quality. The agency is particularly interested in military applications, but DARPA-funded research often makes its way into other industries.